Sport/Life caught up with freestyle football player Olly “Funck” Bowman from New Zealand, who will be looking to defend his Oceania title on October 11 in Melbourne. Olly has caught the attention of the world with his funky style, earning a place on the F3 World Tour. Sport/Life talked about how things are going in New Zealand and changes that have happened since he got involved in the sport. How did you first get into freestyle football? How long have you been playing for now? I started about 6 years ago in 2008. I was 17 at the time. i remember watching ronaldinho videos and feeling inspired. I remember catching the bus into the city and buying myself a new Adidas F50 ball. 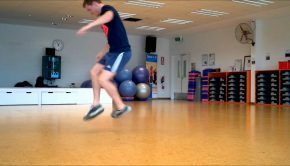 I spent the next few weeks trying to learn basic tricks, in this time i also discovered more about the sport and about the community of Freestyle. Discovering a network of New Zealand players which i could talk to and learn from. What’s changed since you’ve been involved? We’ve got the Oceania Championships coming up, and you are hoping to defend your title. How has your training been going? Very excited to be back to try and defend my title. My training has been OK. I have had a lot of other things going on right now and its only been in the last week or so that i have really thought about what i need to do to win this competition. But for me Freestyle is all about expression and creating with a ball. So i will bring my own tricks and my own style to the competition and i believe this will make me stand out… fingers crossed i can master my big moves in time. The World Tour has so far been incredible, a real eye opener for me. Iv always dreamed of being on the world stage and competiting against my idols. And it was a bit surreal to be honest. The first event in China was an experience which has made me re-think a lot of things. I performed very poorly so i am looking to rectify this in London and am more than confident! 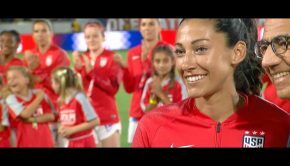 What are your main goals in the sport and who do you look up to? I want to be recognized world wide as the best in my style. I want people to be able to take inspiration from my achievements. I look up to French Freestyler “Andreas Cetkovic” This is a player who is completely overlooked by all the young guys these days. Andreas is a master, a creator. 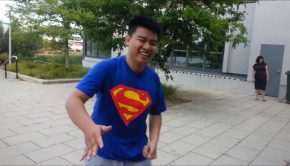 He fused freestyle with breakdance and created a whole style of Freestyle. Freestyle Football is becoming much more professional in the way the sport is run. What do you think needs to be improved in the sport? Are there many other players in New Zealand? Any up-and-comers to watch out for? You have joined the Oceania Federation. What do you think of the potential for freestyle football in the Pacific Islands, and for OF3 in general? I think OF3 is much needed over this side of the world. It is something we have been lacking, A base for Freestyle where we can connect, imput our own ideas. And as one, i can see massive potential for the development and progression of Freestyle in Oceania. It is still early days, but as a federation, if we can do things right. I can see massive potential for this sport to find its way into Pacific Island countries. All you need is a ball. What else are you into outside of freestyle football? I have seen some stuff of you with Phil Morrison – how do you go with the footbag? 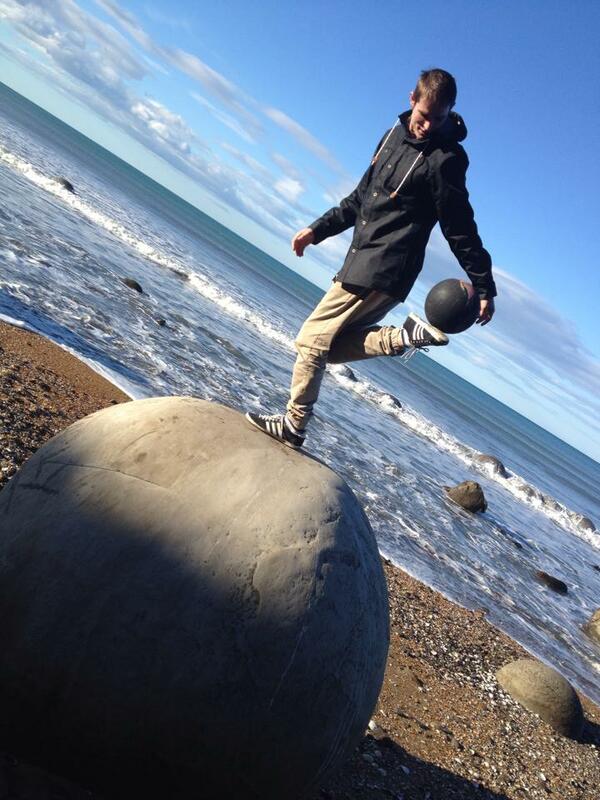 I am very fortunate to live in the same city as Phil.. a phenomenal footbag player. We have done a lot of shows together. To be honest i’m not so good with the bag.. but this style has influenced me a lot and you will see me perform a lot of clipper/eclipse combinations with the ball. To all the young freestylers out there, i encourage you to have fun with it and don’t be afraid to do your own style.. Freestyle is about expression rather than progression! 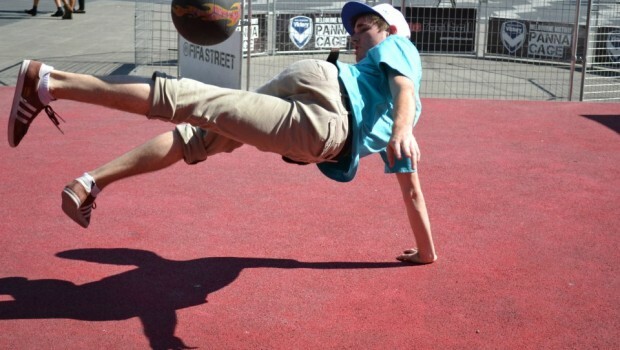 The Oceania Freestyle Football Championships will take place at Queensbridge Square in Melbourne on October 11.